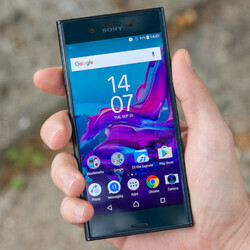 It was at the start of September that Sony announced its brand-new flagship — the Sony Xperia XZ. About a week ago, the company finally revealed its official pricing and release dates — the flagship XZ is supposed to hit US store shelves on the 2nd of October with a price-tag of $699.99. Yesterday, we learned that a dual-SIM version of the handset is headed for India, too, scheduled for release on the 10th of October. Well, it seems Taiwan beat everybody to the punch, as it's reported that the aforementioned Xperia XZ Dual has gone on sale in the country today. It costs the equivalent of $730 and probably comes with 64 GB of internal storage — like the Dual that is about to launch in India. No need to rush to 3rd party reseller websites that import from Asia, though. The new Xperias will be over to the West in just a couple of days. Are you buying an Xperia XZ on day 1? Probably not buying it because the lack of FM radio, otherwise I definately would. F**k you too Sony for removing the FM radio! Isn't it free to download? Same big bezel and 3gb ram. Fk Sony. Z2 Z3 Z3+ Z5 X Xz All are 3gb ram. Bs to that. The xz 6gb ram.